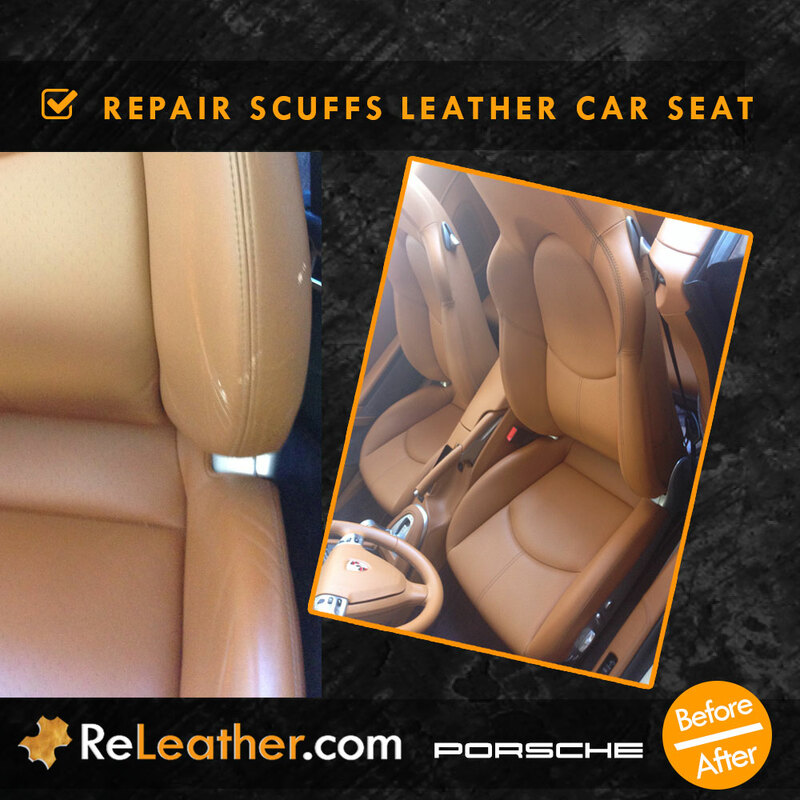 Looking to restore your quality leather car seats? 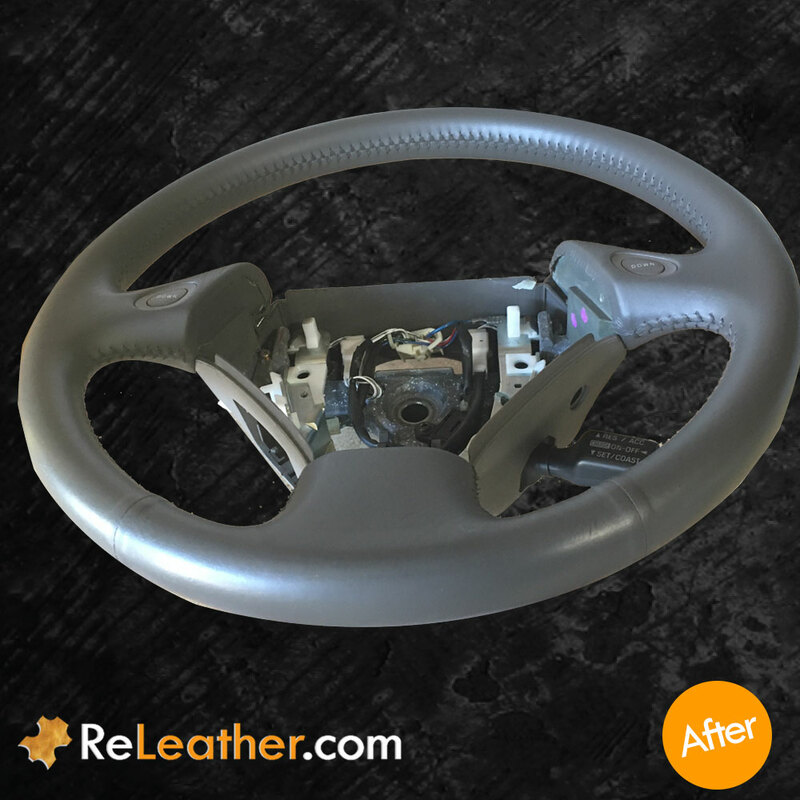 Preserve the value of your luxury car by restoring your auto interior! 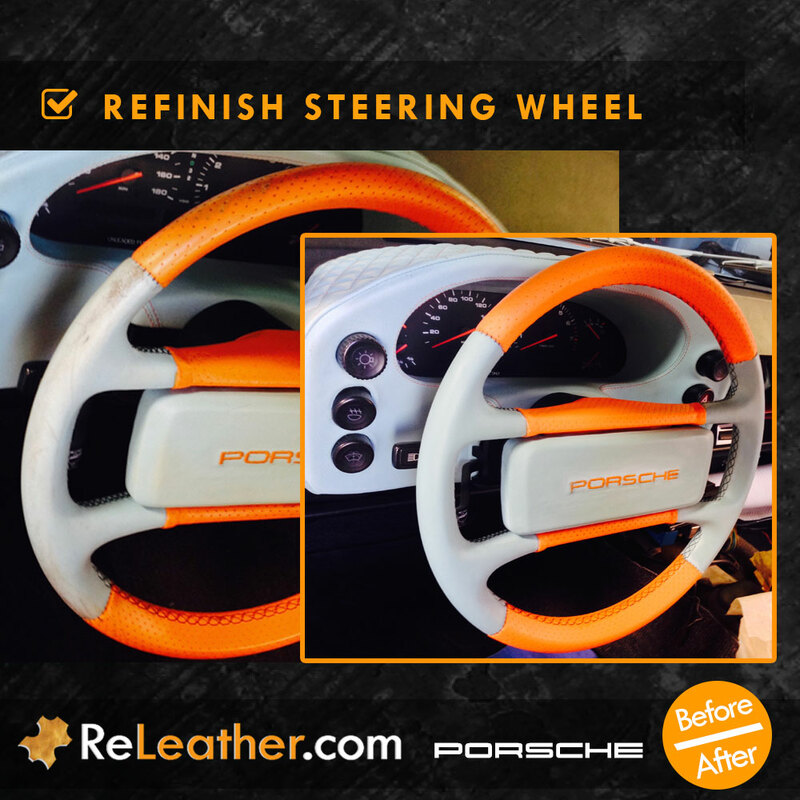 We offer full service leather cleaning, refinishing and redyeing for automotive interiors. 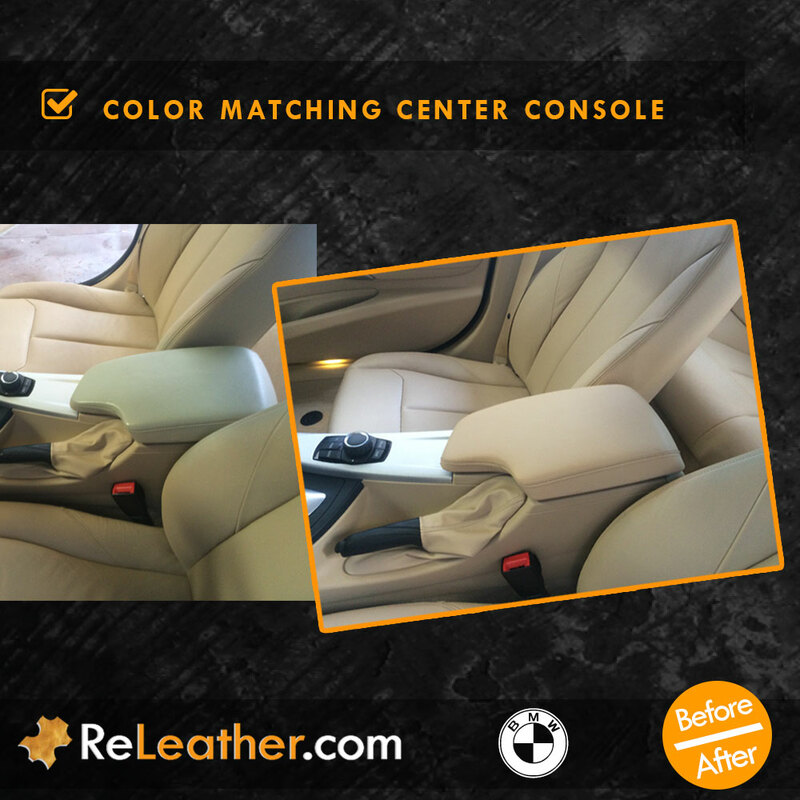 We perform leather services that treat normal wear and tear such as color discoloration, scuffs, stains, color fading, dry leather surface, and more. Schedule service at your home. 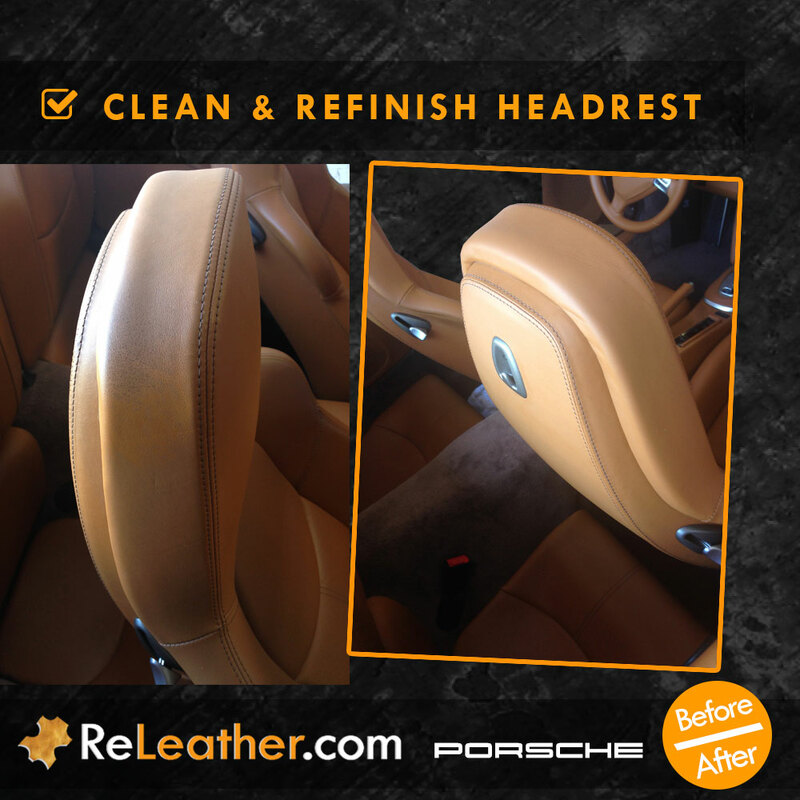 Old car leather upholstery can be restored combining deep leather cleaning and refinishing service. 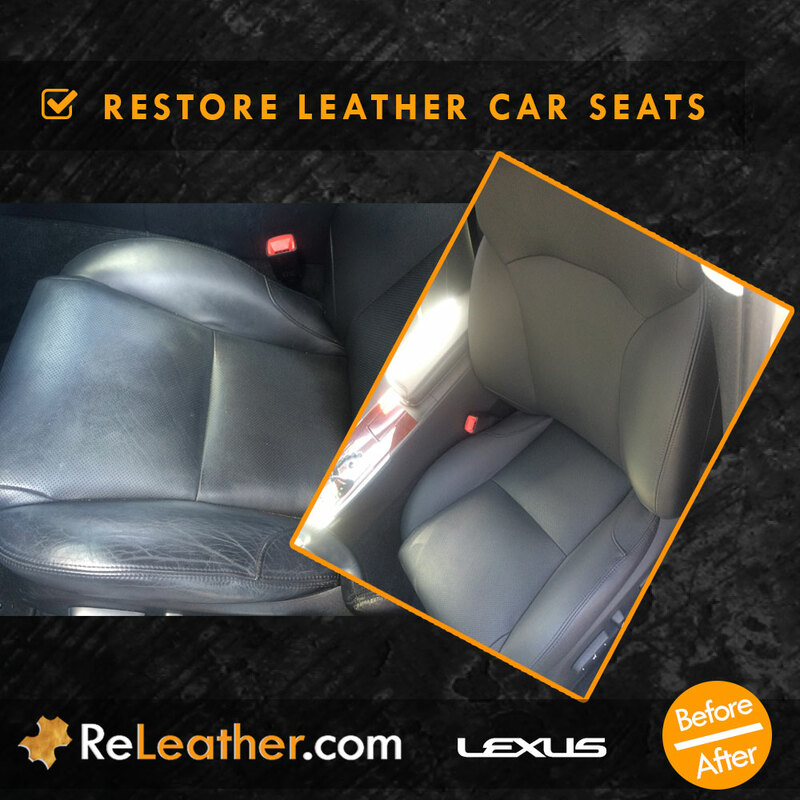 Our specialized auto leather dyeing service is not only one of the best options to improve and preserve your leather seats but also saves you money by avoiding costly upgrades like recovering your auto upholstery. 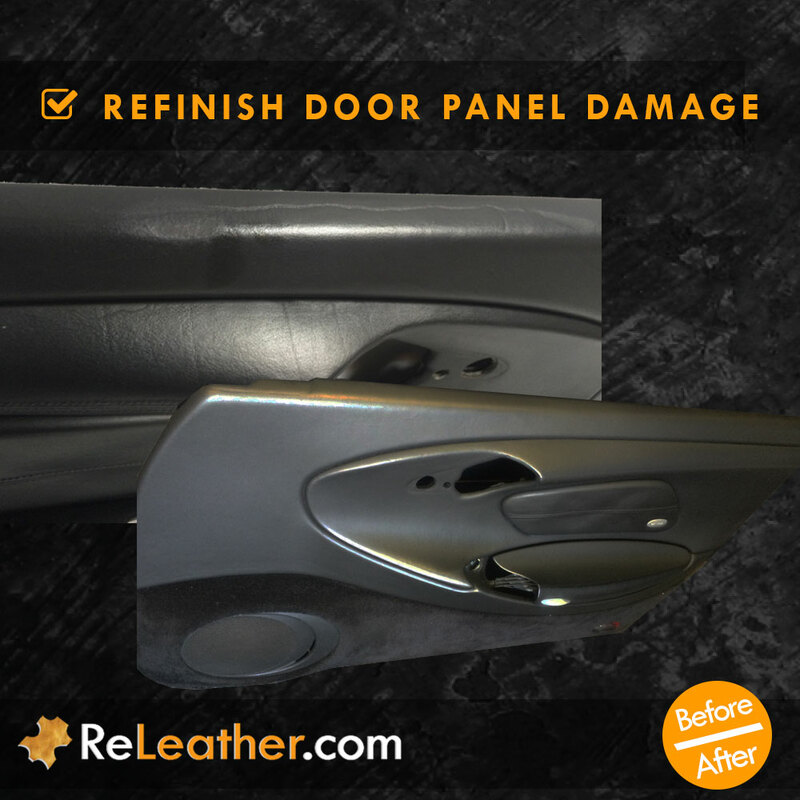 Full leather restoration of your interior can also add value to your car if you decide to resell your used car. 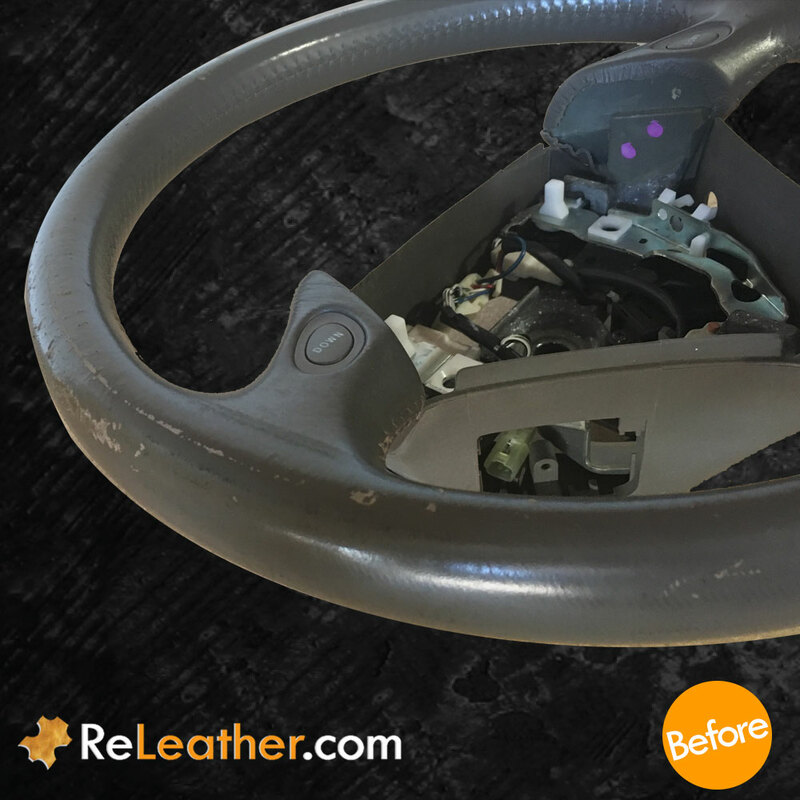 When working with luxury auto upholstery, we rely on our extensive training and experience to achieve the best before and after results for your leather seating. Below we outline the leather repair process. Luxury Leather Restored! 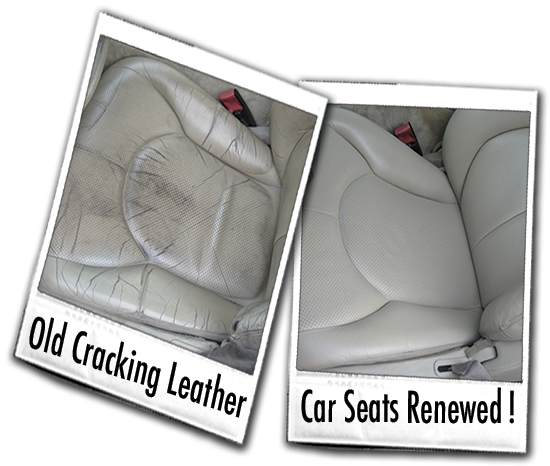 Before 😟 & After 😍... Is your leather faded, cracked, or stained? 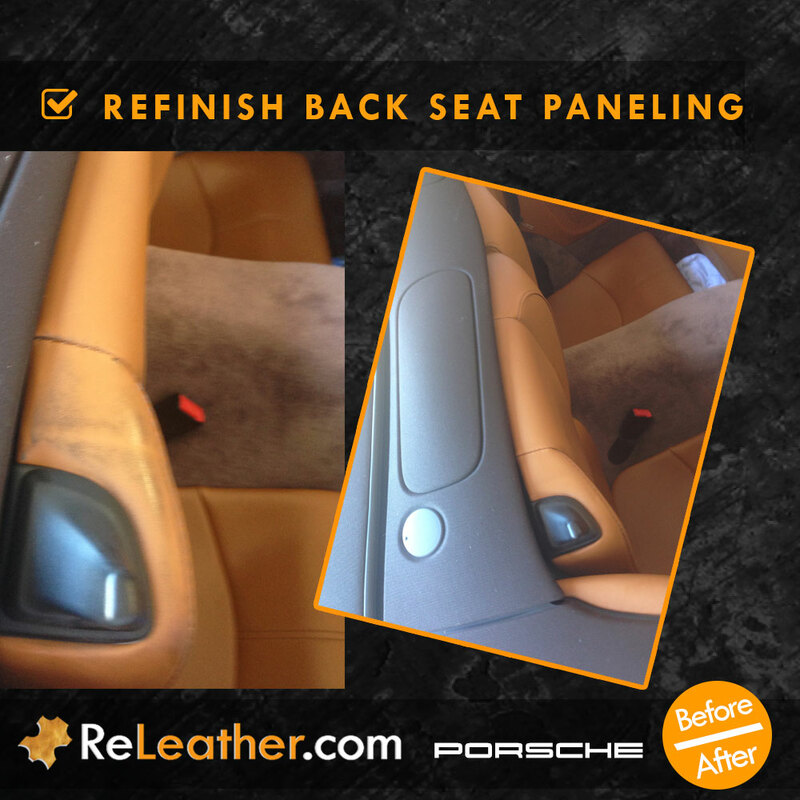 We specialize in restoring luxury auto interiors. 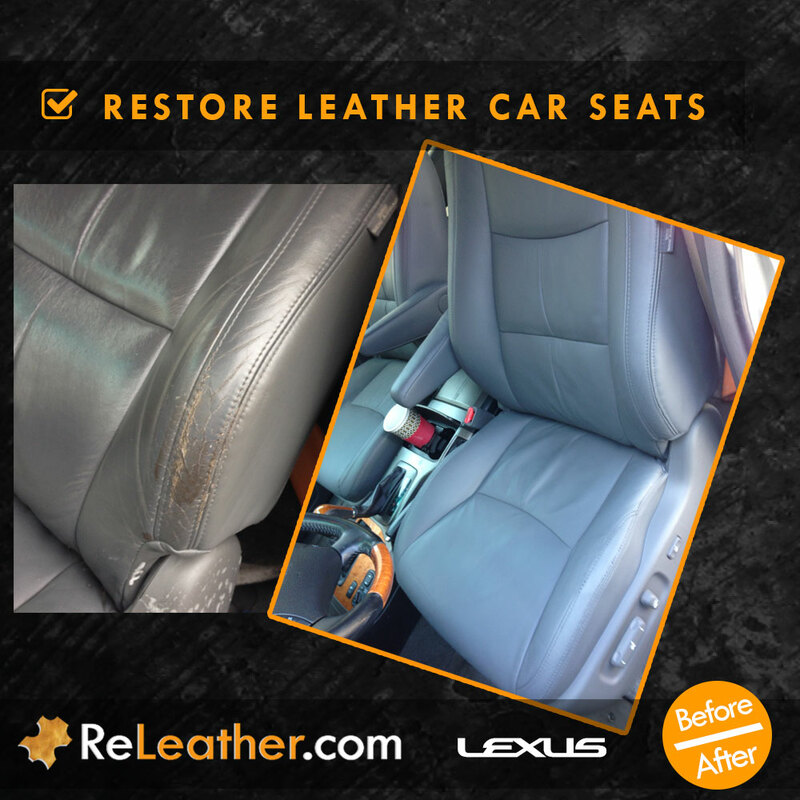 Get your leather car seats restored! 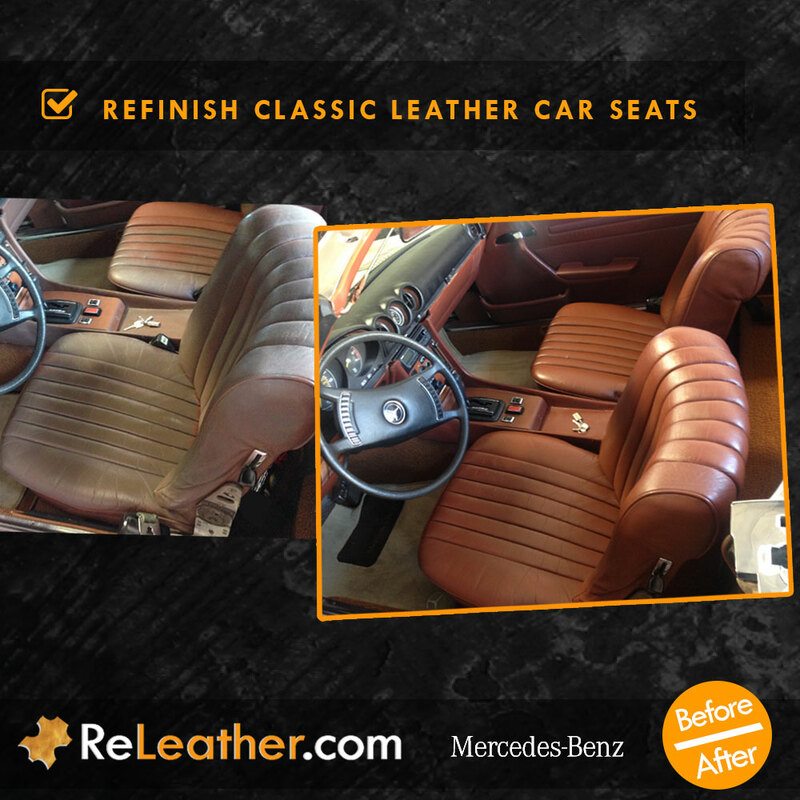 Mercedes-Benz Leather Interior Transformation! The black leather on these car seats had signs of wear and tear. Is your perforated leather was feeling dry and looking faded? 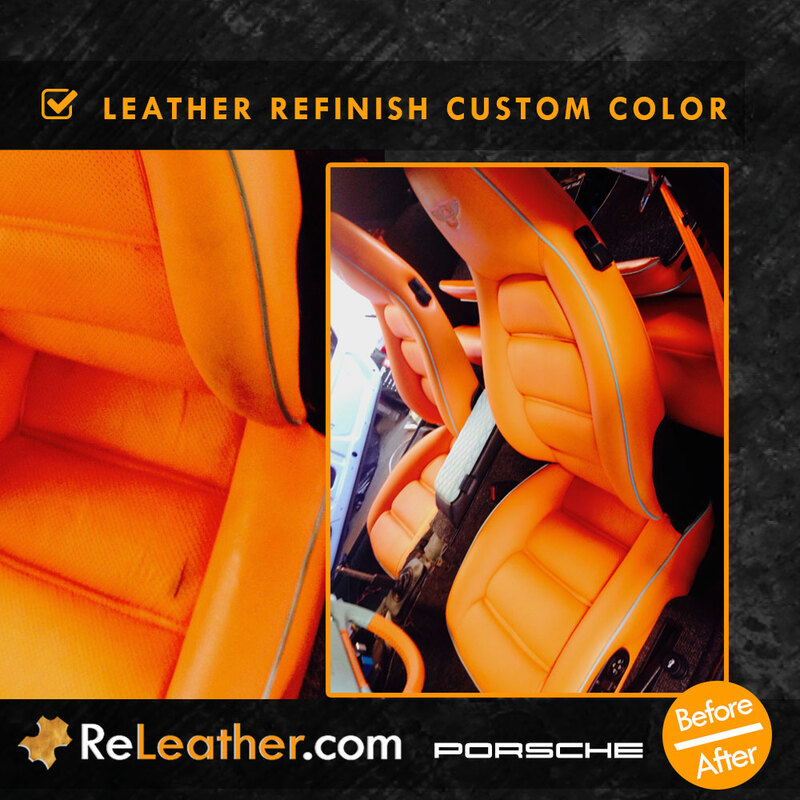 We offer professional Full Leather Restoration service to restore and preserve your luxury leather. The best part is that we can match the color of your leather and apply protection against premature aging and damage from penetrating spills and stains.